You know, it’s easy to get caught up in life so much that we lose the perspective of seeing how blessed we each are. Sure, we ALL have problems, but we each are offered blessings every single day – though they might not come packaged where we can see them as such. Each day on my way to work, I pass a small church in an urban part of the city that is known to have higher instances of crime and poverty. On Thursdays each week, they have a food pantry set up outside of the church with rows and rows of tables of food. It seems every week that line gets longer and longer. Last week, the line went through the parking lot of the church and down the street a good way. For many, I would imagine this is there only source of groceries to feed their families. While most people look at that as charity or a hand-out, those people look at it as blessing to be able to fill the stomachs and nourish the bodies of their families. Putting food on the table is a luxury for many, but something so many of us take for granted. We’re concerned with chicken or steak while others are begging for rice. This weekend, Heather, Jack ,and I were meandering through the grocery store getting some things we needed. A couple times Heather and I picked up something, but after a brief discussion about how expensive it was, we put it back – like most families, we’re on a budget. It’s tough to look at something and decide that money is the reason you can’t have it. But in that moment of feeling sorry for myself, I realized that I could be the one standing out in the heat in the long meandering line hoping and praying for the generosity of someone else. Instead, I was pushing a cart around inside an air-conditioned store. Sure, we can’t have it all, but if you’re lucky enough to be able to put food on the table for your family, you’re luckier than 842 million people in this world that go hungry every day. Now that, is a blessing. I encourage you to consider helping out where you can. Please make a donation to your local food bank. Every little bit helps. I don’t have a smoker, so I’ve always made my ribs by braising them in liquid in the oven, then putting them on the grill right before I serve them to get them charred and crispy. This method yields delicious, juicy ribs that simply fall off the bone. The thing is, the whole braising process can be a little time consuming and messy. Well, when my buddy Brandie over at The Country Cook posted her recipe for Crock Pot BBQ Ribs, I got to wondering about adapting my recipe for the slow cooker. Man, am I glad I did!!! These ribs turned out juicy and literally falling off the bone tender. In fact, I had to try and put some of them back together to take the photo. They are filled with flavor and that last few minutes on the grill, really makes them delicious. Y’all just have to try these! Trim the ribs and cut the rack into 4 sections. Rub the ribs generously with your favorite rib rub. If you don't have a rib rub, salt, pepper, and garlic powder will work just fine. Allowing the ribs to sit in the refrigerator a while (even overnight) will add more flavor, but it isn't required. Mix the vinegar, soy sauce, and liquid smoke together and pour it into the bottom of the slow cooker. Add the rib sections, spreading them around the bowl of the slow cooker. Cook on low for 4 to 6 hours, or until tender and you can see the meat separating from the bone. Preheat the grill to medium-high heat. 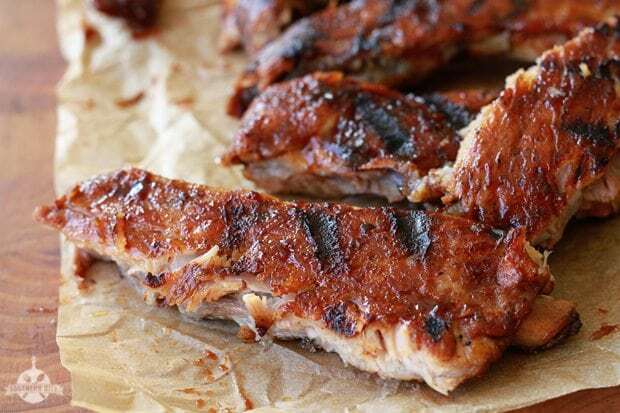 Coat the ribs with the barbecue sauce and grill for 15 minutes, turning once, or until the barbecue sauce is charred a bit. Totally AWESOME Post! Thank You!!! Looks and sounds divine. Thanks for your beautiful reminder to count our many blessings.. theres always someone who has it worse than we do. Isn’t that the truth!? Thanks, Marsha! All I have to say is…AMEN!! Thank you for reminding us to be grateful! There is always someone else worse off than you! Happy 4th! Sometimes our minds get a bit foggy, but the truth is… we do all have something to be grateful for! Happy 4th to you!! Your words were inspiring. Sometimes we complain, and we fail to count our blessings. Thanks for the reminder. I am pinning this recipe to try. I love ribs but have always been intimidated by them. I know, silly, but anyway, I look forward to trying this. Thanks for the words of wisdom and hope you have a happy 4th! 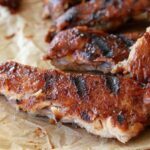 This recipe makes ribs easy! Enjoy! Happy 4th! Thanks so much, Judy! Enjoy!! As I am typing this, I have 3+# of country style ribs in my crock pot with a homemade BBQ sauce. I tweaked the sauce recipe a bit by adding some cumin and extra garlic and varying the amounts of ingredients. In about 6 hours, I’ll see how it all comes out. I don’t have a grill of any kind so my bar-be-queing is always done in the crock pot or the oven. I always home-make the sauce from one recipe or the other. I’ll make a note of your recipe here and try it some time in the future. Thanks for posting this. Awesome post! I work in an air conditioned grocery store and I am so grateful that I can work in cool comfort and put good food on my table! Would it work to put the ribs in the broiler to get the char after slow cooking? I don’t have a grill. Absoutley! It will work perfectly! Sorry! I didn’t see your reply to the previous poster that it is fine to use the broiler. On my way to work and moving too fast today. Thanks!!! How did you know I don’t have a grill? We love Barbeque but I’m a little intimidated by it. 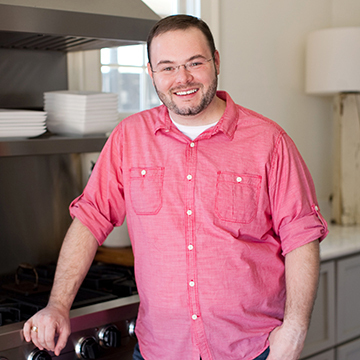 Thanks so much for sharing your recipes and keeping it simple. I can’t wait to make this! I know my family will absolutely love this! Thanks for your awesome posts and reminding us to be grateful! Happy 4th! Ha! Hope y’all had a happy 4th, too! I have about 6# of baby backs. A lot for a crock pot! I really want to try this recipe. Sounds amazing. Suggestions for the oven and then finishing on the grill? Thanks! We’re these ribs frozen or thawed out before placing them in crock pot ? Hey Stacey. How would you recommend someone get the charred look/taste without a grill? Any suggestions? Pop the ribs in the oven on broil for a few minutes to get the charred look and taste. 🙂 Just watch them closely! Will it work to double this for more ribs? Assuming they can all fit in the crockpot? Yes, just realize the cook time may need to be extended. 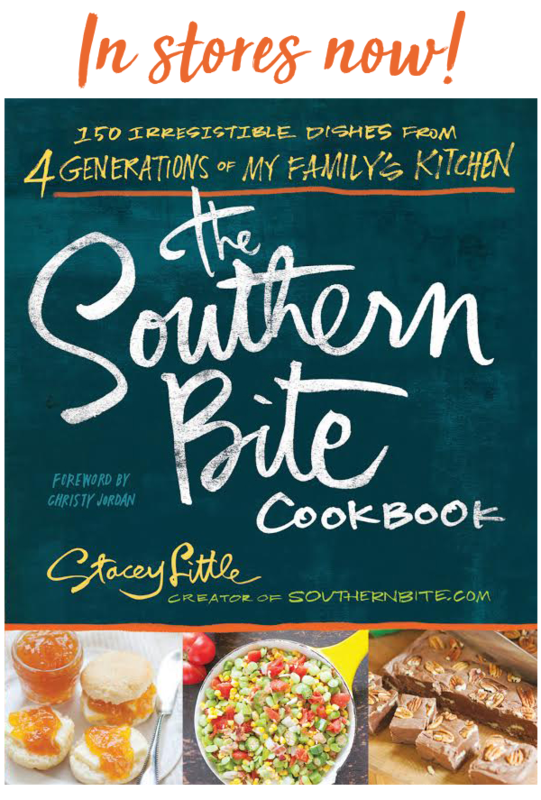 Stacey, as I’ve mentioned before, I’m a new follower of your website and I’ve also shared it with my mother, (we came here via Christy’s Southern Plate). So, we’ve been looking around and bookmarking recipes, and I’ve left comments for the ones we’ve tried so far (Simple Skillet Orange Chicken, and Hamburger Steaks). I always appreciate it when I read a recipe website and see comments/reviews posted by readers who have tried the recipe, so I try to always do that myself. So, we both saw this ribs recipe and wanted to try it. Since baby back ribs were on sale this week at our local grocery store, we both decided to try your recipe this weekend. She made it yesterday and raved about it. And, we just had them for dinner tonight and they were absolutely terrific!! So delicious! And, pretty easy as well, which is always good in my book. This recipe is definitely a keeper, which we will both be making again! Thank you!! By the way, a thunderstorm kind of ruined my plans to finish these off on the outdoor grill. I see from the comments that I could have placed them in the oven on broil, but instead of turning the oven on, my husband just grilled them in a large grill pan on the stove while brushing them with the barbecue sauce. They came out great, just in case anyone else is wondering how to finish them off other than on an outdoor grill. Also, my mother and I both paired this with your Bacon Ranch Potato Salad, which was also excellent and went perfectly with the ribs. I’m going to go to that post now and leave a comment there. Thanks so much and have a great week, Stacey! That’s fantastic, Samantha! I just tickled you’re finding so much you enjoy of the site! Thank you for sharing your recipe. I enjoyed the hands off approach to cooking ribs, however,was not a fan of the soy sauce flavor. Next time I’ll have to experiment with other flavors. Thanks again! My church also has a food pantry and has been helping an unbelievable amount of families lately. I was in the grocery store just yesterday having that same conversation with myself as I walked. Count your many blessings each and every day. Love your site! Yes, it can’ all be taken away so quickly. Thanks, Catherine! Love your website and I am going to have to try this recipe. Thanks, Tina! Hope you enjoy! I’m hosting a dinner party and this would be perfect but I don’t have a grill. What can I do? Simply brush them with barbecue sauce and pop them under the broiler for a few minutes – just watch them carefully! I have an 18ct nesco and about 10 lbs of spare ribs can I stack the ribs? I;ve not stacked them, but coiled them inside one another in a slow cooker. I would think it would be the same principle. No, there’s no need to wrap them with anything. Other cuts of ribs will work so long as they fit in your slow cooker. This recipe looks awesome! Do you remove the membrane or keep it on? It’s completely up to you. I didn’t with this recipe. I suppose you have to put your ribs on top of each other in the crock pot – right?!! You can, or you can coil them around in the slow cooker crock. It’s one slab of ribs. Serving size really depends on how hungry your folks are. I usually feed about 4. Connie, I’m just tickled to hear you enjoyed these so much. The slow cooker makes them so easy and we just love how tender they are. These ribs were absolutely delicious, probably the best thing I’ve ever made with my slow cooker. I also love that I can make alot and have leftovers, or just enough for dinner if I want. I will definitely use this recipe again! Thank you! Love hearing that! So glad you enjoyed them! My husband is not a barbeque fan due to the sweetness but with our kids schedules I needed to have dinner ready that evening and didn’t have much of an option to have a ready made dinner when we all got home. I didn’t have liquid smoke so I just used A1. But I really think rubbing the bbq sauce on the ribs and broiling was the added touch. My husband loved these. I have a new go to crockpot dinner. So glad y’all enjoyed it, Kim! I think the broiling adds a lot to this too! What if you don’t have a grill? Simply sauce them and pop them under the broiler of your oven. 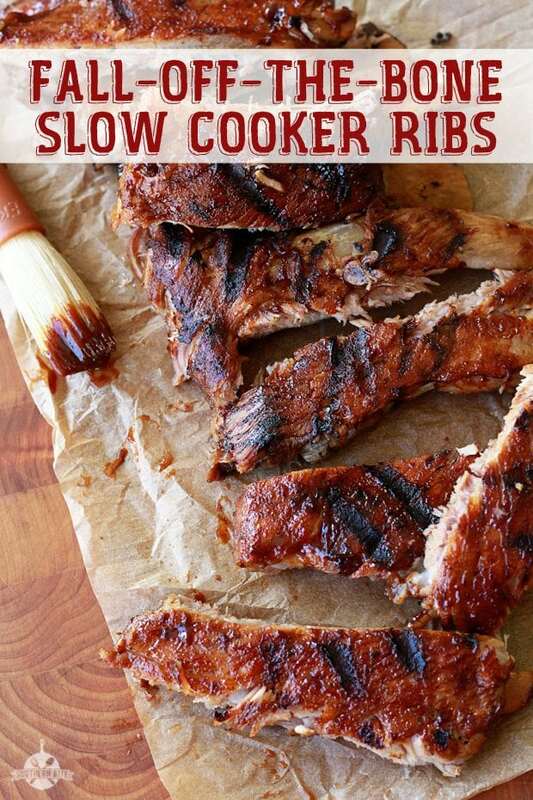 I am considering making these for Father’s Day, however, my dad prefers his ribs dry with no sauce. What do you recommend for that? Thank you! This produces a more moist rib. Thank you for your words of wisdom; we need to help others that are not able to provide for themselves. Also, thank you for your recipe, I will try it for out churching potluck next weekend. I do not have a grill but will take your advise and finish them in the broiler. Sure hope you enjoy them!! I found that I need to leave them in the crockpot a bit longer–say 6-8 hours on Low. They weren’t real tender at your recommended time. Probably, it is due to the crockpot, as they could be different. After that, the recipe is a winner. Sometimes they cook differently. Glad they turned out great for you, Jim! These came out awesome! Because my partner can’t eat nightshades (tomatoes, peppers, etc) I used teriyaki sauce instead of barbecue sauce. They were delicious, tender, and easy. Thanks! I’m so glad y’all enjoyed them, Jacks! 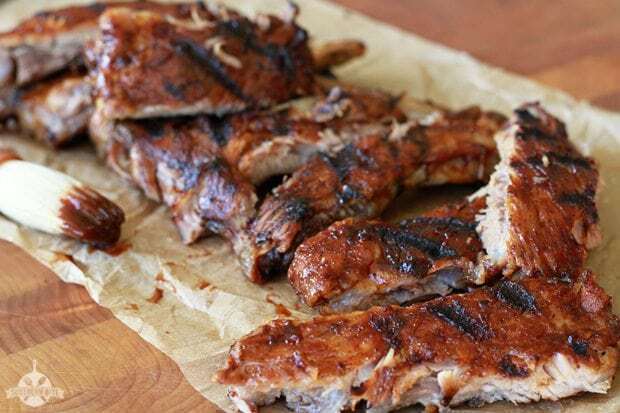 my wife does almost precisely this recipe for our weekend camping ribs (pre-prepare the slow cooker part during the week, freeze the stuff, throw it in the icebox and then pop them onto the fire ring grill. The only issue we have is that the ribs are so fall-off-the-bone, that they tend to fall-into-the-fire 🤪. Is there any possibility to wrap them, or could we put them on top of one of these copper BBQ mats to make our life easier, without sacrifying Maillard crispyness. Also, good call about counting your blessings. I tend to fuss over the price in Southern California grocery stores, only to be reminded of how easy we actually have it when exiting the store and seeing scores of homeless people.